The state of Wisconsin just held a historic recall election that was a very divisive topic in the country, causing both sides to follow the election results closely. In a day where it is nearly impossible to find a bipartisan agreement, there is at least one thing that brings agreement across party lines. No, it is not a politician, or even an ideology, but a company. 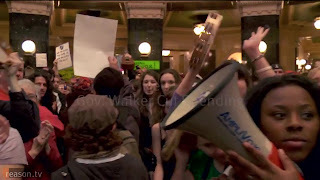 In order to clearly and powerfully communicate their messages, the protesters in Wisconsin turned to the AmpliVox 25-Watt Megaphone. 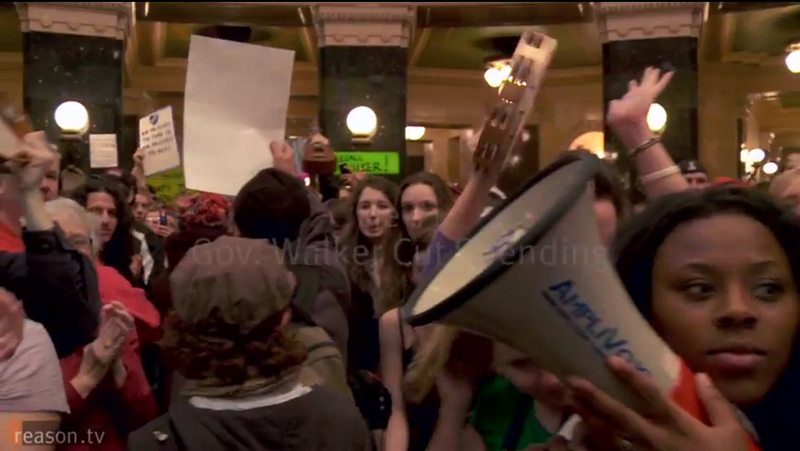 If you watch the video on this page, you will see the AmpliVox megaphone at 0:47-0:49 you will see a quick glimpse of the powerful megaphone. 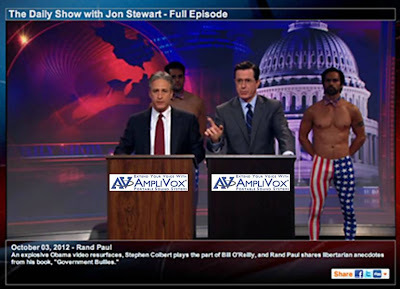 This is not the first time we have seen AmpliVox products used in political events or even by politicians. 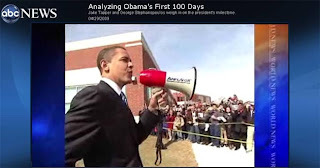 Barack Obama, Sarah Palin, Mark Kirk, and Robert Dold have all used AmpliVox products to communicate their message. Another great product for the political realm is the Sound Cruiser Car PA System that was recently used in a campaign-themed episode of the popular TV show Modern Family. Big news! AmpliVox Sound Systems is excited to announce that our Grand Opening Ribbon Cutting Ceremony will take place Tuesday, Oct. 30. 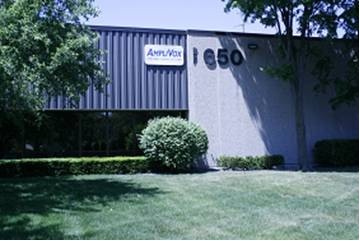 We moved into a new facility at 650 Anthony Trail in Northbrook, IL earlier this year, and we are excited to introduce it to local community and business leaders with a special two-hour open house from 4:00-6:00 pm. The event will feature a speech and Q & A session from Illinois congressman Robert Dold, as well as appearances by Northbrook Chamber of Commerce President Tensley Garris, Executive Director/CEO of the North Suburban YMCA Howard Schultz and Northbrook Village Trustee Jim Karagianis. “We are honored, humbled and very proud to present Congressman Bob Dold, who will meet and engage with all attendees at our launch ceremony,” said AmpliVox CEO Don Roth. Attendees will have the opportunity to tour our new warehouse and offices, view some of our latest product and meet AmpliVox staff. Beverages and food will also be served. With 60% more office and manufacturing space, we’re looking forward to continuing to innovate in the field of portable audio technology, create new products, expand our current lines and ensure all equipment is made with the highest quality and most current technological capabilities. Our customer service team will remain stellar—they’ll just have a little more room to stretch their legs. We’ll be live-tweeting throughout the day on Oct. 30 using the hashtag #ampliribboncutting, so be sure to follow us on Twitter @AmpliVox for the latest updates. As many of you know, October is Breast Cancer Awareness Month, and AmpliVox is excited to contribute to the groundswell of efforts to raise awareness and cure the disease through our Pink Podium Promise program. 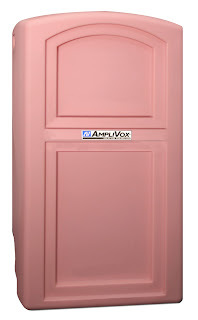 Founded in 2010 and offered year round, our Pink Podium Promise donates special pink versions of our 10-watt megaphones and our Pinnacle Podiums to licensed or certified breast cancer awareness organizations to help their voices be heard. As events are held throughout the country this month raising funds, sharing stories and increasing awareness of the disease, people are seeing our pink podiums and megaphones all over. Shoplet.com posted one such example in their latest blog of a podium in action at a recent breast cancer awareness event. In addition, they are spotlighting our pink products in the Breast Cancer Awareness Month section of their online store. If you are part of an organization that may benefit from our pink podiums and megaphones, learn more about how you may qualify, or email SEDECKER@ampli.com with any questions. We also encourage you to spread the shade of pink and increase breast cancer awareness online. 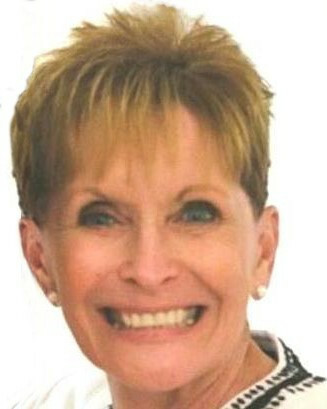 Follow our Pink Podium Promise campaign on Twitter @PinkPodium, and like our Facebook page. 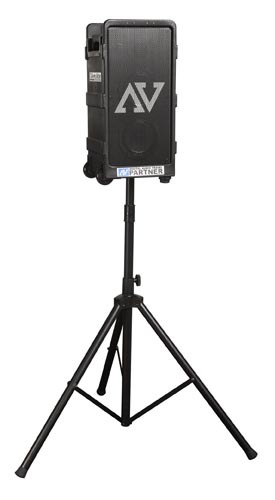 See one of our podiums or megaphones at an event? Let us know by connecting with us at any of our social media pages. This week has been all about debates. Not only was the first presidential debate for the 2012 election between Barack Obama and Mitt Romney held Wednesday night, but Comedy Central’s Jon Stewart and Fox News’ Bill O’Reilly will also showdown down in “The Rumble 2012,” a live-streamed debate between the two on Saturday, Oct. 6 that will examine today’s political issues. On last night’s The Daily Show, host Jon Stewart partook in debate preparation with his friend Stephen Colbert. 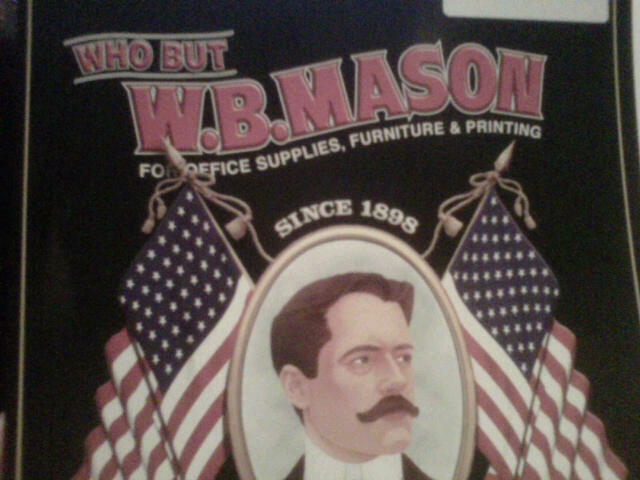 And what did they use to help? AmpliVox Sound Systems, of course. 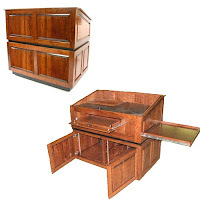 Mr. Stewart and Mr. Colbert prepared for the looming debate using two versions of our W280 Full Height Wood Lectern. 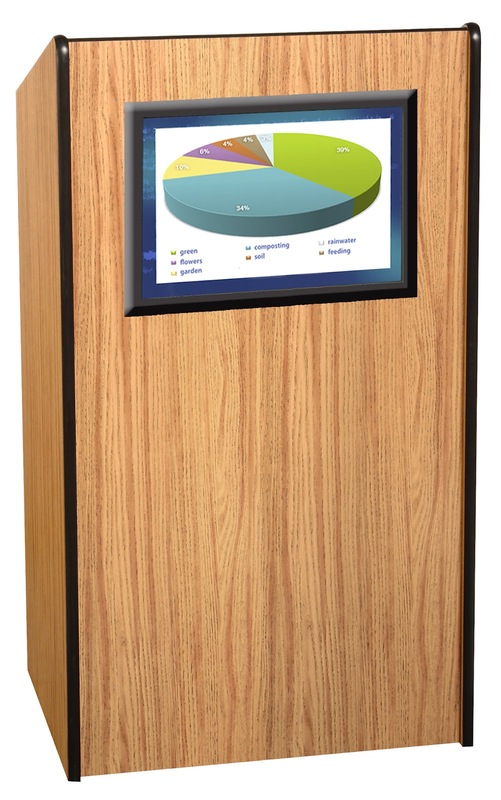 These are scratchproof, durable and versatile lecterns that are perfect in a debate or presentation setting. Don’t take our word for it though, check out this screenshot from the episode and watch it in full at The Daily Show website. 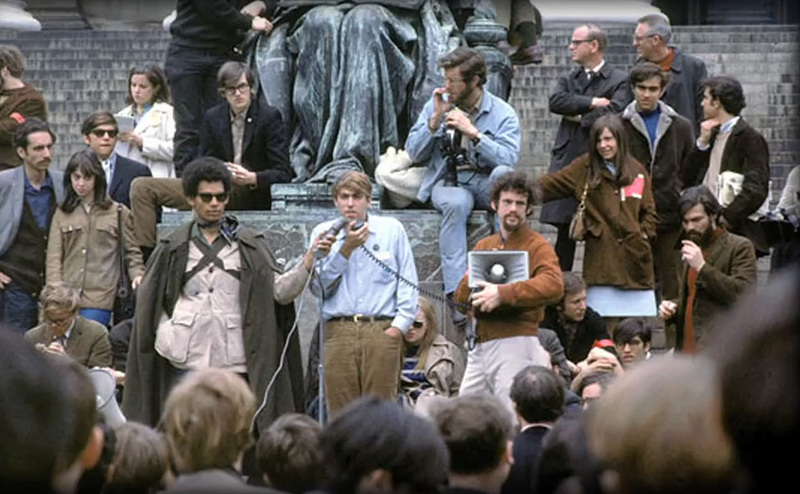 The lecterns appear around the 10-minute mark. To receive our latest updates, follow us on Twitter @AmpliVox and like us on our Facebook page. 1. Power. 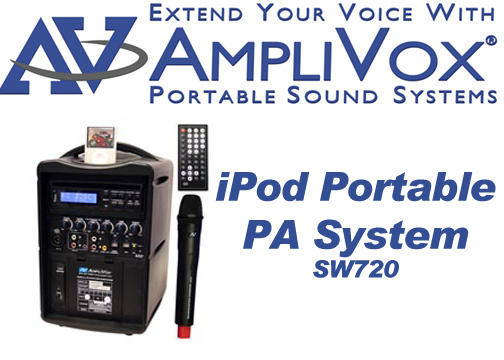 AmpliVox Sound Systems come in a range from 5 to 250 watts that will project your voice, pre-recorded music, and live music to crowds of up to 7,500 with just one system! 2. Portability. 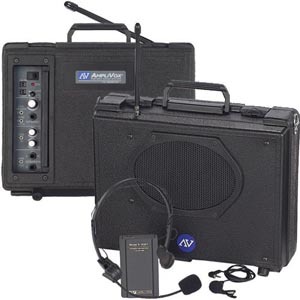 Take your show and music on the road with wireless battery-powered amplifier systems. Battery life for various systems is usually around 10 hours to an incredible 200 hours on a single charge! 3. Many Options and Features. 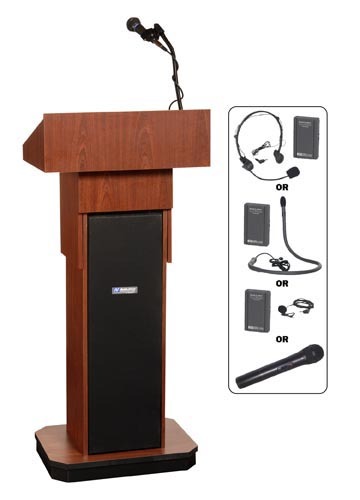 With wireless microphone options, options to connect an external device like iPod/iPhone, and features like the Voice Priority Feature and the ability to use several wireless mics simultaneously. Plugging in guitar effect pedals is also an option.